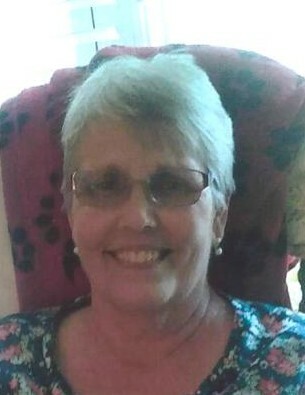 Jeanne Sopik, 69, of Niles, passed away Monday, April 8, 2019, at 5:30 p.m., from a lingering illness at Trumbull Regional Medical Center. She was born February 7, 1950 in Cleveland, Ohio, the daughter of George and Violet (Wokaty) Stovalosky. Jeanne graduated from Rhodes High School in Cleveland and attended the First United Methodist Church of Niles. She retired in 2017 from J C Penny after 23 years of service. She enjoyed planting flowers, watching TV and spending time with her family. Jeanne is survived by her husband, Leonard S. Sopik, whom she married March 25, 1972; a daughter, Jennifer (James) Woodrum of Roaming Shores, Ohio; a son, Brian (Shirley) Sopik of Niles; her father, George Stovalosky of Stow, Ohio; two grandchildren, Kaitlin and Brandon Woodrum; a great-grandchild, Liam Williams; two brothers, David (Becky) Stovalosky of Mayfield, Alan Stovalosky of Cuyahoga Falls; and a sister, Karen Gillmor of Stow. She was preceded in death by her mother, Violet Stovalosky and a brother George Stovalosky Jr.
As per Jeanne’s wishes, there are no calling hours or services. Arrangements where handled by the Holloway-Williams Funeral Home & Cremation Service, 611 Robbins Ave., Niles, Ohio 330-652-2422. Visit www.hollowaywilliamsfuneralhome.com to view this obituary and send condolences to the Sopik family.